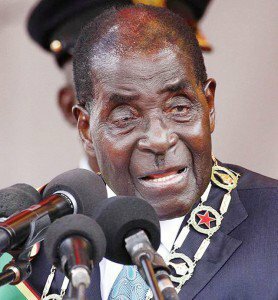 The Amalgamated Rural Teachers Union of Zimbabwe (ARTUZ) has called on President Emmerson Mnangagwa to dump his predecessor Robert Mugabe’s habits of commandeering school children to “arrogant” Zanu PF’s rallies in attempts to boost crowds. 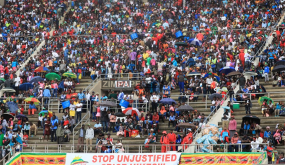 This follows continued cases of school children and their teachers seen at Zanu PF functions and in some cases seen clad in party campaign T-shirts. The firebrand teachers group last year took steps to try and force a stop to the apparent abuse of schools and their properties by the ruling party. These involved the launch of the Safe Schools Campaign which was aimed at protecting teachers and learners during the often volatile election periods. 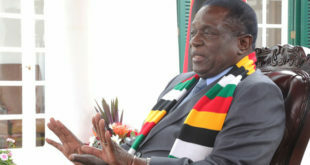 The group also approached the Zimbabwe Human Rights Commission (ZHRC) to raise a complaint of “gross violations” of both children and teachers’ rights. In turn, the commission responded by making various recommendations to political parties, parliament as well as the education and justice ministries all aimed at protecting schools. But ARTUZ insists there has been no sign any of the parties ever took the recommendations any seriously. 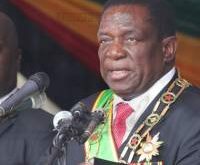 This, says the group, is evidenced by most recent events which have seen Zanu PF force the shutdown of learning in several schools from Maramba, Uzumba and Pfungwe for teachers and pupils to attend party presidential candidate Mnangagwa’s rally at Chizanga Primary School in Mutoko. 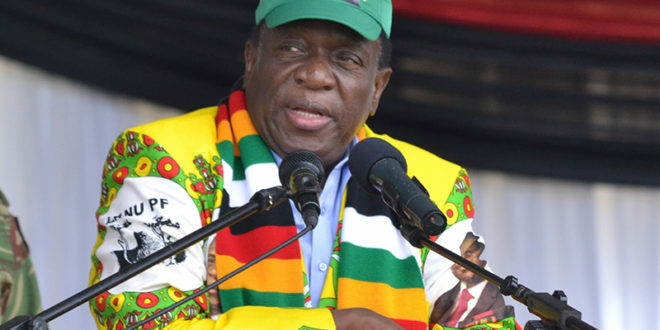 Learning also came to a halt in Masvingo last Friday when school teachers and their pupils were dragged to Mnangagwa’s Mucheke rally. 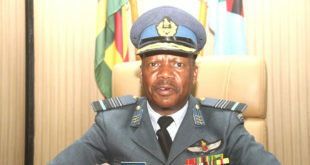 “This flies in the face of the recommendations in the Investigative Report by Zimbabwe Human Rights Commission (ZHRC),” said ARTUZ in a statement. ARTUZ also calls on SADC, the AU and UN agencies to put pressure on the Zimbabwean government to honour its obligation by barring political activities in schools in line with our “Safe Schools Campaign”.